TARDIS Conventions has cancelled the Phoenix TARDIS event planned for July 10-14. This represents Alien Entertainment’s second failure in 2015 to replicate the success of its flagship con Chicago TARDIS in another city. Earlier, the firm cancelled Boston TARDIS 2015 that had been scheduled for April 3-5. Low upfront attendance coupled with issues involving the hotel space have driven us to make this decision. In the last two weeks, we have attempted to re-house the convention at a different venue to no avail. We want to thank all of you who showed your enthusiasm for this event and have already purchases tickets. We will be issueing refunds via Eventbrite ASAP. If you do not receive your refund within the next 24 hours, please contact us. We also want to thank our guests – Sylvester McCoy, Colin Baker, Nicola Bryant, Terry Molloy, and Ian McNeice for their time and effort. It is no fault of any of these lovely individuals that this decision came about. We have been informed that as of three hours ago, the hotel was still taking bookings for Phoenix TARDIS. We had no hand in that, and as you can see this was part of our issue for the cancellation of the con. We have spoken with them, and they are taking all open reservations off line on their end. Our website has already disabled any links to ticketing or the hotel room reservations. We are saddened to report that in the last 24 hours certain events have taken place, which have significantly derailed Boston TARDIS 2015. In the beginning of this venture, we were disheartened that our event would be clashing with a very popular, local convention – Anime Boston – as well as a weekend that holds religious significance for many of those who might potentially attend. If we wanted to continue into 2016, it looked like we had no choice but to go forward with our plans. Thankfully, next year, our event will be held far away from any dates such as these. Six birthday boys. Fire up the cake! 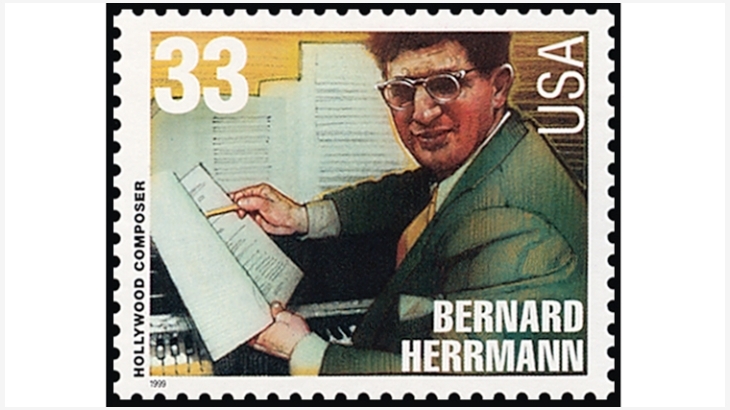 (1) Composer Bernard Hermann was born today in 1911. His very first film score, for Citizen Kane (1941), was an Oscar nominee. But it lost — to Hermann’s other nominated film score, for The Devil and Daniel Webster (1941). Some of Hermann’s most famous work was for Alfred Hitchcock: Vertigo (1958), North By Northwest (1959), and Psycho (1960). (2) Animator, producer and LASFS member Ray Harryhausen, was born in 1920. (3) Actor Slim Pickens, born in 1919, broke into Hollywood as a singing cowboy before directors realized his full comedic potential. (4) Artist Michael Whelan was born this day in 1950. (5) Fellow artist David B. Mattingly was born the same date in 1956. (6) Jeff Duntemann, oft-quoted in File 770’s Hugo roundups, was born in 1952. The SF field also suffered two especially noteworthy losses on June 29. ….It would seem that there could be an overlap between the “Sad Puppies” racially resentful white folks (and their pathetic black and brown racial Stockholm syndrome allies) and the more formal and open White Right. The Whiteness of science fiction is united in the post civil rights era by White Supremacy gross, ugly, more polite, in some ways unapologetic, dishonestly “colorblind”, and in all of its other toxic ways. As I shared on the RT network last Friday evening, Dylann Roof and other Right-wing domestic terrorists are weaponized by Fox News and the Right-wing hate media. Part of this training is not limited to explicit and formal political texts. Political lessons are also taught by many types of media such as music, film, art, video games, comic books, and other types of literature. A quibble: Covington’s work sounds more like speculative fiction than it does “science fiction” (the widely known white supremacist tract The Turner Diaries fits this model as well). Most science fiction is by definition speculative in nature; speculative fiction is not necessarily science fiction. Words and concepts are important; meanings and definitions matter….. 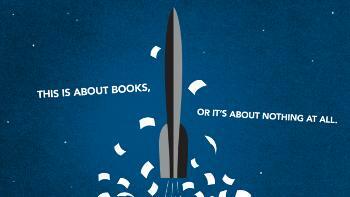 Controversy erupted when one group of science fiction writers, who felt underrepresented by the awards committee, offered a competing list of nominees for the Hugo Awards. When their list won many of the five slots available in each award category, the science fiction establishment and major media noticed. The list writers—known oddly as the “Sad Puppies”—believe that books promoting politically correct causes and liberal identity politics have dominated the Hugos in recent years. Opponents say the “Puppies” are racist, misogynist, and homophobic conservatives undermining science fiction’s most prestigious award by inventing nonexistent persecution. Members of the World Science Fiction Convention will meet this summer to determine if nomination and voting rules need changing. Any changes would take effect in two years. —J.O. This is not what fandom should be like, but unfortunately assholes are everywhere, even in sf fandom. But though they’re currently the loudest and most visible part of fandom, they’re not the whole of it. It’s only human to talk more about outrage than about all the everyday kindnesses that pass unnoticed, which is why British fandom has its Doc Weir award. Most people you meet in fandom, online or real life, are just normal, decent human beings. Which can be hard to remember when all you read about is a small part being incredibly nasty about having to share fandom with people who are not like them and don’t like Nutty Nuggets. But there’s also the point that much of the sound and fury generated by those Puppies is a reaction to the fact that fandom is changing and getting more welcoming to people who may not just dislike Nutty Nuggets, but don’t like breakfast cereal at all. It’s a backlash against the idea that fandom can improve, grow more diverse, not remain the playground of a bunch of paranoid, spoiled, rightwing brats. I replied that I do it for self-promotion and networking. I have seen the benefits accumulate over the years of people getting to meet and know you a bit, to know that you’re a real person. I suppose it works for me because I’m very outgoing, and I’m also a much better public speaker than a writer. I also feel this year I have a special obligation to get out there because of my Hugo nominations. I feel if I’m asking people to consider my virtues as a writer, they have the right to see me and buttonhole me. I hold that too many of the award categories are irrelevant, or so poorly shaped that the voters do not know what they are actually voting for. And yet one of the most persistent and pernicious trends over the last few years has been to add further categories, which does nothing to make the whole thing simpler or clearer…. Okay, I’ve been rambling on for too long, but basically it comes down to this: most of the categories of the Hugo Awards are not fit for purpose. They are dependent on knowledge that the voter cannot have, or they make distinctions that are irrelevant to most voters, or they require comparison between items that cannot sensibly be compared. And these problems, or variations of them, extend into just about every one of the 16 categories there currently are in the Hugo Awards. It’s a systemic problem that ties in with the problems of governance and the problems of relevance that I have already highlighted. I don’t know what the solution is, other than tearing the whole edifice down and rebuilding it from scratch on firmer grounds and on a simpler model. But I don’t think that is going to happen. The award itself dates back to 1197 and Bishop Hugo de Rainault (brother of the then Sherrif of Nottingham) who it will be remembered offered ‘a mighty prize for the most puissant account of how yon addlepate knave Robin Earle yclept Loksley might best be set about his heels.’ The original silver arrow has now become over time the stylised ‘rocket robin hood’ shape of the current award…. Reid’s other covers look rather pulp style, which is not really my thing, but I do like this one. 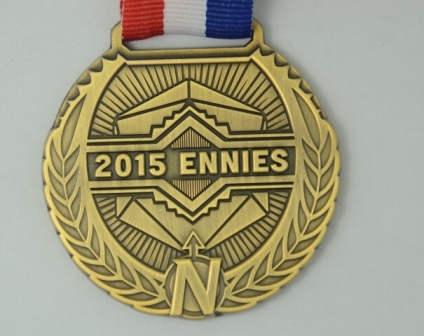 And at least now I don’t have to think about putting No Award on the ballot. It’s a pity Reid didn’t put some of his works in the Hugo packet so they’d have been easier to find. Of these choices, Tea and Jeopardy is definitely the best. It takes full advantage of the format, uses sound effects to improve the atmosphere and has whimsy that appeals to me. The interview was well-conducted, and the questions were perceptive and enlightening. It’s also short enough to listen to but not so long I start to think, just get on with it already! Next up, despite the length, is Galactic Suburbia, which is information-filled and fun. The trio clearly love what they are talking about and range far and wide on a variety of subjects while still pulling in the audience. I find the length problematic, but the diversity of subjects makes up for it. 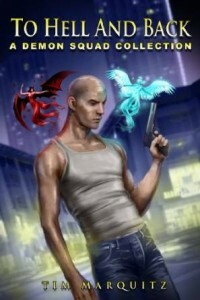 Adventures in SciFi Publishing is the third place winner, and the last to make the ballot for me. It’s a polished production, but went on just slightly too long on a single subject. The next best is Dungeon Crawlers Radio, which is average but not great. I do wonder if there is a better example than the one in the sample, but due to the length, I can’t be bothered to listen and find out. At the bottom is the Sci Phi Show, which really didn’t take advantage of the audio format at all. The cheesy laughter sound effect detracted, rather than enhanced. If that was the best available, the podcast doesn’t deserve an award. …This film most certainly deserves the Hugo award this year. It is what the Hugo is all about. It is, unfortunately, on the Sad Puppies list. I’m quite sure it would have been nominated anyway. In other areas it has received many awards, beating out the other Hugo Nominees. And it is really quite funny that the puppies would nominate this film. They are so against stories with a message and if you don’t get the messages in this film you have to be brain dead. As against the puppy slates as I am, I am forced to concede that this is indeed the best SF film of the year and I must put it first when I vote. I just have to. From the emotional, enjoyment, box office response, and industry award perspectives this film comes out on top among those nominated. If you believe in the spirit of the Hugos, you won’t let the source of a good nominee that deserves to win cloud your judgement. Of course, not all will agree that this is the best offering, but from my perspective, I have no choice…..
Lots of people were talking about wanting to come back to Finnish conventions again. We seem to have created a lot of goodwill for the Helsinki Worldcon bid. I am so proud of my Finnish and Swedish friends right now. By John Hertz: Somehow this apothegm of Lewis Carroll’s seemed worth quoting. To ask for such a thing no more. Is always thought an awful bore. By it can solve a hard equation. Let wisdom’s brows be cold and sour. Taral Wayne has posted “Doug Winger: Fallen Sparrow”, a long and thoughtful appreciation of the late fanartist. I can’t help feel that Doug was a rara avis whose wings had been broken by misfortune, and who never properly learned to fly again. Three new trailers on YouTube that caught my eye. The final trailer for Dai Gyakuten Saiban, a game in the Ace Attorney series, before its release on July 9th, 2015. The Pixels character trailer for Lady Lisa.